The 16th hole is the last of the par 5s and is set on two tiers. A long drive down the centre leaves you with a long shot to the green with a wood or iron… however, accuracy is needed as the green is small and protected by steep banks. 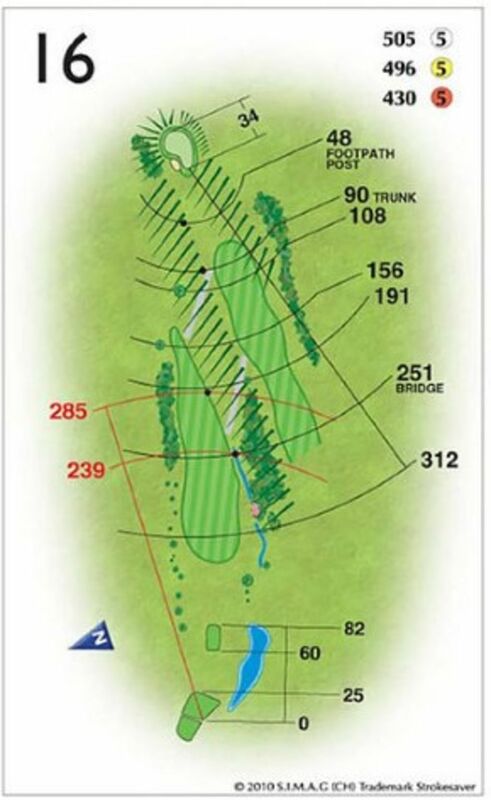 Instead, consider playing an iron up the steep bank and a wedge into the green instead.